The lawyer for Ukrainian pilot Nadia Savchenko has said the issue of her release now lies in political and diplomatic territory. "The format - pardon, exchange - does not matter at all. The only question that matters now is to persuade the Russian leadership that it can't go on like that. 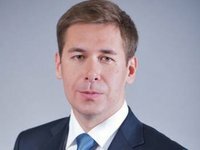 If they realize this, they will find a suitable decision," Ilya Novikov said on the Chernoye Zerkalo (Black Mirror) program on the Inter television channel on Friday. "I would like to stress that the defense lawyers' work at the trial is effectively over. The sentencing does not require our participation. Since Nadiya has refused to file an appeal, our function as lawyers effectively boils down to maintaining contact with her," he said. Doctors are no longer given access to Savchenko, and neither the consul, nor her relatives will be allowed to visit her until the verdict is announced, the lawyer. "Effectively, the ball is now on the side of politicians and diplomats," the lawyer said.